Three down, one to go. 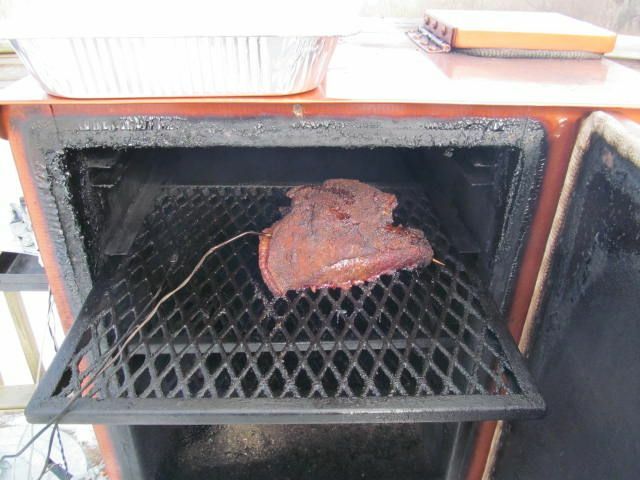 Brisket. 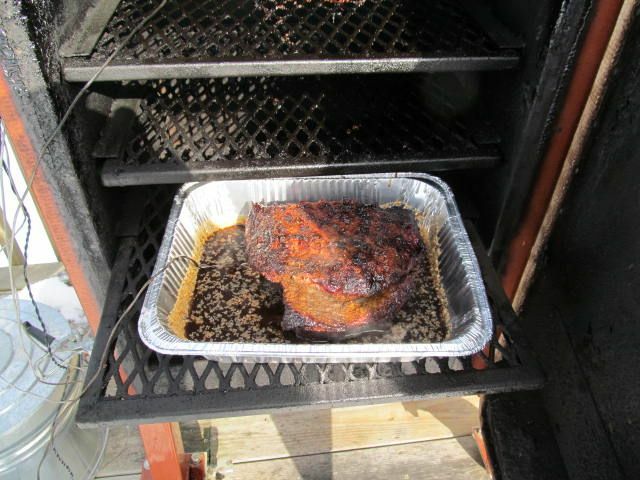 Up until Nelsonville last October, brisket has been the category that we have done the worst in by far. 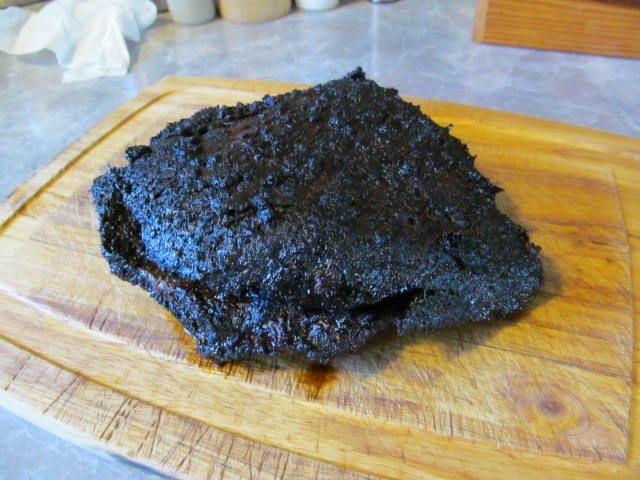 I have made some great brisket at home. But in competition, we have been lacking. But, mid-season last year, we did a little research and some talking with some fellow teams and changed up what we were doing. 1. Changed our rub. 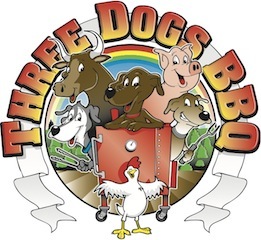 We went to Oakridge BBQ Santa Maria Rub. 2. Strained our juices, separated out the fat, and dredged the brisket slices through the au jus before putting in the box. 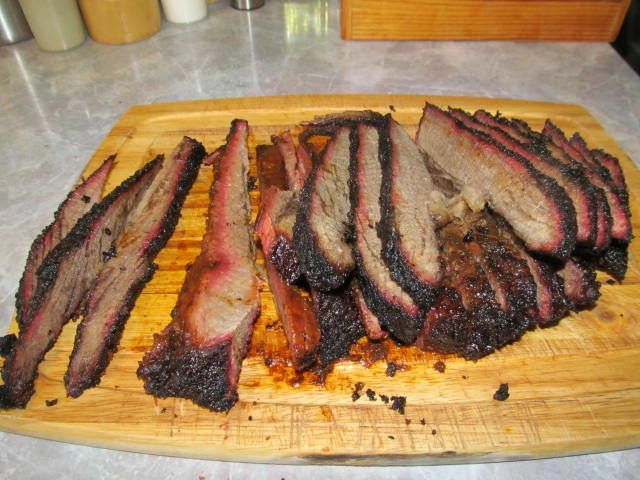 These two steps added an average of 30 points to our brisket score. 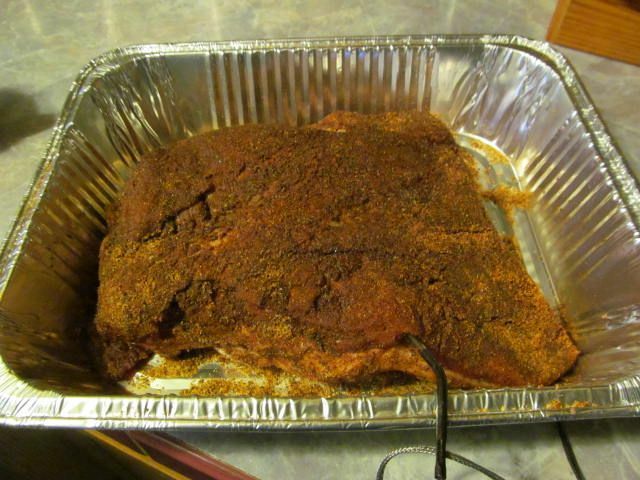 I also placed a toothpick (bottom right corner on the brisket) into the brisket perpendicular to the grain so I would know which way to slice when done. 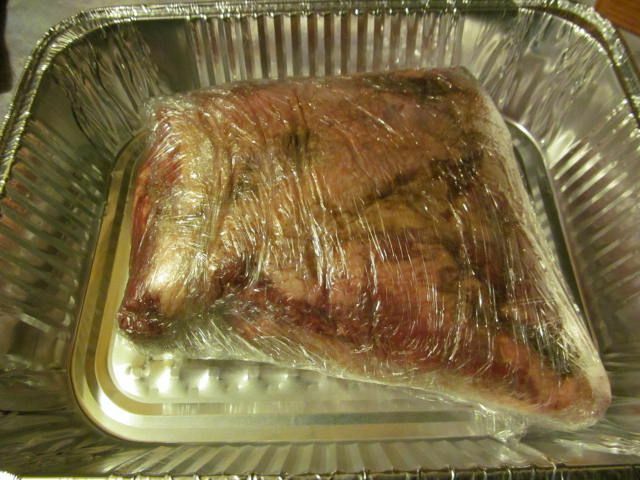 I then cooked the brisket until the internal temperature reached 175 F, then I placed in a foil pan with some of the reserved injected and covered with foil. I sliced and dipped in some of the strained au jus. My impression? For the first time, I made something at home that I thought was trophy worthy in competition. The Black Ops Rub was made for beef. The rub made an outstanding bark. 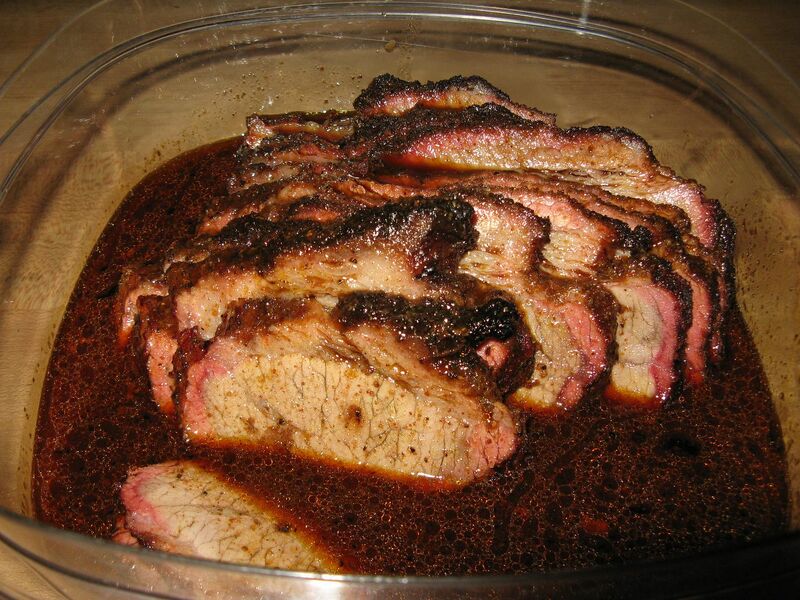 The flavors of the rub mingled with the au jus and the natural flavor of the beef producing an outstanding taste. I am sold! 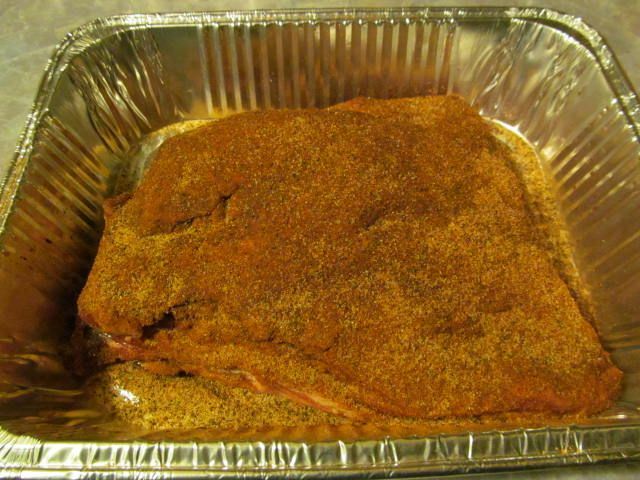 Brisket needs to rest at least two hours. 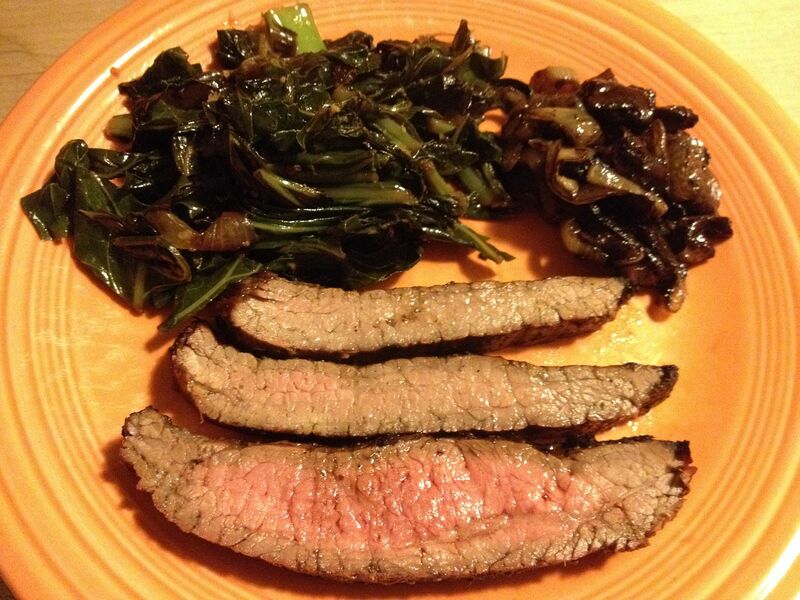 While the flavor was outstanding, it was not quite as tender as I would like. 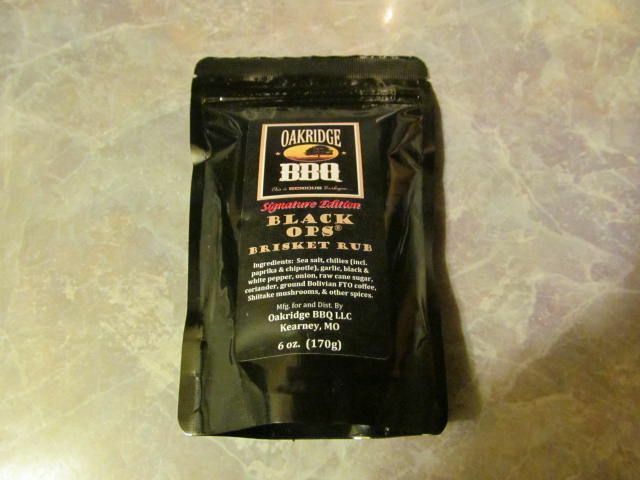 Oakridge BBQ Black Ops Brisket Rub gets 4 stars out of 4. While their Santa Maria rub is a outstanding product, the Black Ops rub is superior! Oakridge makes quality rubs. We had success with them too. 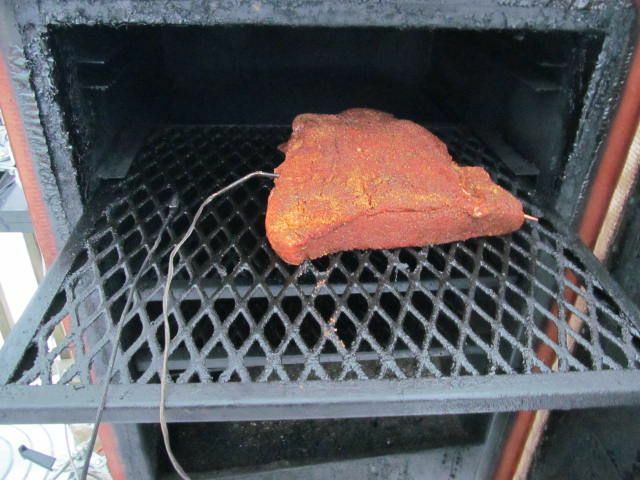 Today I am smoking a corned beef.